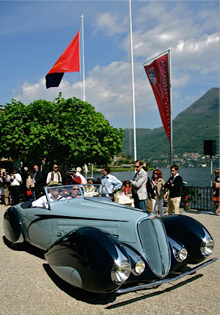 Brian Hoyt founded Perfect Reflections in 1986 with a desire to restore the finest automobiles in the world. He has been working with exotic automobiles for over 30 years, and has served as a Ferrari judge at the Cavallino Classic, as well as the Ferrari Club of America National events. In addition, he dedicates his time to help in the preservation of the Ferrari marque and takes great pride in his role in the automotive community. Perfect Reflections has had the pleasure of restoring some of the most exotic, rare, and beautiful, cars ever built. 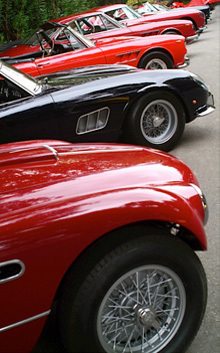 Our expertise spans everything from the Pre-War French cars to modern day Ferrari’s, and we have committed ourselves to producing the highest quality, most authentic restoration services available. In particular, over the years, we have developed unique and comprehensive knowledge of vintage Ferraris and, with Brian’s extensive personal familiarity with the marque, we are extremely proud of the restorations that have been completed under our name. We take pride in our record at various car shows around the world. Many of the cars restored by our remarkable craftsmen have competed and won the most prestigious awards in the collector car world, including the pinnacle Best of Show Award at Pebble Beach Concours d' Elegance. All of us at Perfect Reflections are dedicated to achieving the highest standards in restoration quality. We are proud to employ the most skilled craftsman in the industry, and our process closely emulates that of the old world craftsmanship of the periods in which these incredible cars were built. We take great pride in bringing back the beauty and vision that belonged to the designers of these magnificent automobiles. After 25 years in the business, we pride ourselves in the relationships that we have developed with our clientele worldwide. Their satisfaction with the finished product is what we strive for with each day. Again, for us it is not merely a business, it is our passion.